Bees will spend most of the month in a tight cluster. When the weather is above 40°F they will move to new areas of the hive and take cleansing flights. Late in the month, some queens may start to lay eggs. As a result, food will be consumed faster. Check wintering colonies for honey reserves by hefting the hive to feel the “honey weight”. On warm sunny days (above 40F without wind) you can quickly peek through the hole in the inner cover to see where the bees are in the hive and assess their food reserves. After every snow storm, make sure to clear entrances to allow for proper ventilation. Spend some time during this quiet part of the beekeeping year purchasing, assembling and repairing beekeeping equipment. Catch up on the stack of beekeeping texts and periodicals you set aside during the busier times of year. If you are a new beekeeper, sign up for a beekeeping course offered by County Extension Services, Adult Education or local beekeeping associations. 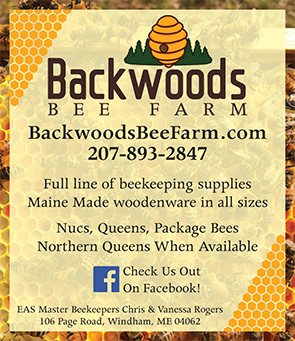 Order packages or nucs for late April-June arrival.